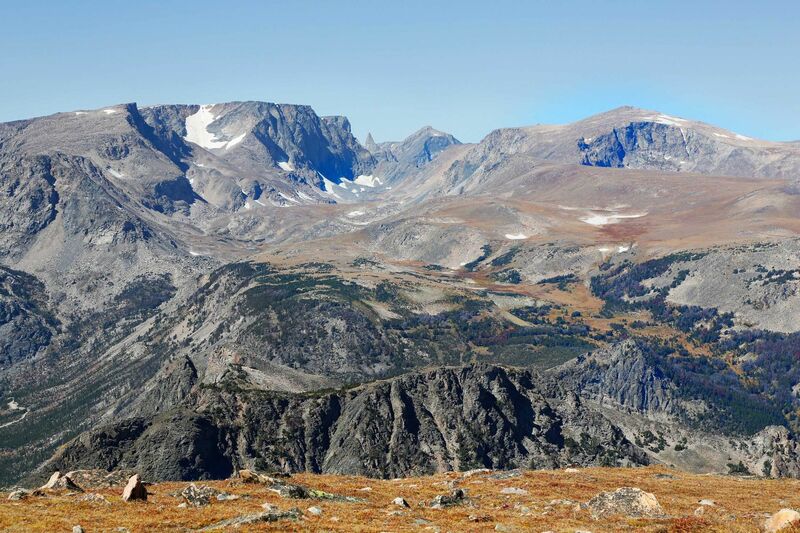 You can see the Bear’s Tooth (centre) in the Beartooth Mountain Range. This image was taken just beyond Beartooth Pass and I can honestly say that this is one of the most dramatic places that I have ever been. The highway runs from Cooke City to Red Lodge amongst truly jaw-dropping scenery - jagged mountains and crystal lakes that stretch for miles on a steep but well-graded road.